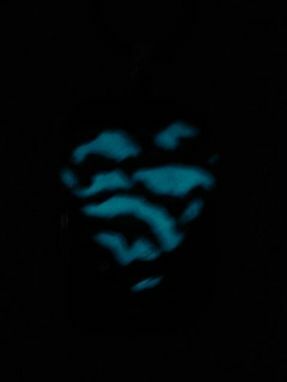 Show your love for that special someone by giving them a one-of-a-kind custom glow-in-the-dark heart pendant. 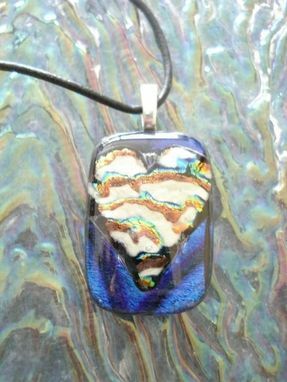 Made with a base of dichroic glass and a heart shape spattered with luminous powder, you'll be a beacon in the (literal) dark , just make sure to charge the pendant under bright lights or the sun beforehand. 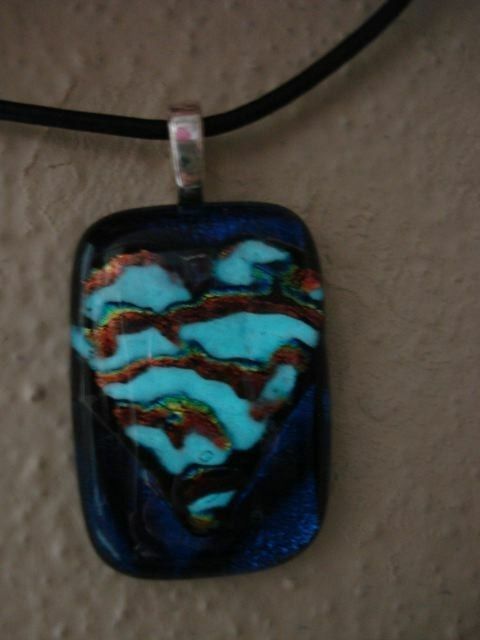 Singles, feel free to pick one up too , it might be a good luck charm to lead good vibes and love to you. 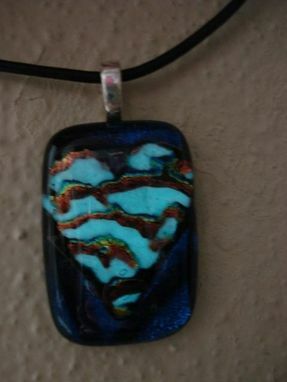 The pendant measures about 1 _'' x _'', and can come with a 17'' leather cord.